With over 25 years experience from beginner to tournament level players, Steve is experienced at coaching all ages and standards and is currently coaching Private lessons, Advanced Squad lessons, Lady's Groups and Holiday Camps at our main location at Trumper Park Paddington and also at Waverley College. Steve specialises in both technical and tactical training for tennis players of all standards. Other passions include touch football and his 3 children and their hobbies and sporting endeavours. Educated at Deakin University Melbourne, Victoria he has studied both Business and Sport Management. 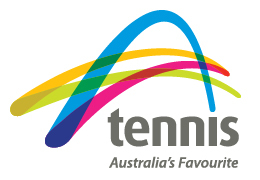 Steve is a Tennis Australia Master Club Professional Coach, Tennis Australia Hot Shots Coach and a certified First Aider. Craig is our most experienced professional and cut his teeth as a player in the U.S.A on the college circuit as a youth as well professional tournaments in France & Germany before coaching in Singapore. Since returning to Sydney Craig has coached at various centres in Sydney’s Eastern Suburbs including Snape Park, Da Silva’s Tennis Academy, Lyne Park Tennis Centre, Maccabi Tennis and now at Trumper Park. A superb player in his own right Craig works to get the most from all his pupils from the smallest right up to his vast adult book of lessons. Also a family man with two sons, Craig loves nothing more than watching them play sports like their dad whilst representing Waverley College as well as other clubs. Originally from Aberdeen in Scotland Chris has more than 15 years experience coaching there and here in Australia. Chris is also a qualified personal trainer and a keen kick boxer who has skills far beyond the tennis court. Chris has been working at Trumper Park on and off for more than 10 years and is a very popular member of our team with staff and patrons alike. Chris runs our popular social tennis on Monday and Wednesday mornings as well as high quality private classes. From a competitive perspective Chris has the wood on most of our team when it comes to match ups on court making him the “Top Dog” of our tennis centre. Carmel Meachen is the newest addition to the Trumper Park team and is an experienced tennis coach with a proud reputation for helping clients to achieve their goals. Carmel’s coaching philosophy has always been to “play to one’s strengths”. A Paddington local Carmel has coached at White City for the last 6 years and is now junior development coach at The Scots College Bellevue Hill. An accomplished player in her own right, Carmel also has a wealth of experience at coaching all standards and her favourite level to work with is orange ball (8-10years). Carmel also coaches’ junior through to senior performance players and she is responsible for some very talented players who are currently playing at high levels here in Sydney and abroad. Tennis is her life and she has a passion for people, sport and culture with a keen eye for the finer details. Patrick’s main role is assisting the Director of Tennis at Waverley College with the teams engaged in competitive matches on a weekly basis. Patrick is also a Waverley College old boy who played in the 1st team from the age of 13 years old. Patrick then played on the ATP circuit for a couple of years in satellites and futures tournaments as a young man. After coaching with some of the best coaches in Australia at White City in its heyday he brings that experience to our team. Patrick is a superb tactical coach who pushes his pupils to get the most improvement in the shortest possible time. Patrick’s other passions include web design and IT, building this website and many others and he is a keen artist and painter. Kingston has 5 years experience coaching junior players; he helps deliver the Hotshots and school holiday programs here at Trumper Park assisting the senior professionals deliver quality tennis lessons. Kingston also provides footwork, fitness, speed and agility training with the 1st - 4th tennis teams at Waverley College each week. Kingston has studied strength and conditioning and personal training and is currently studying health sciences at The University of Western Sydney and following his passion for sport and how to get the most from the human body. Kingston is a keen sportsman himself and accomplished at Touch, Rugby and Rugby League and Oz Tag as well as Tennis. Local Woollahra boy Ben has been playing tennis in these parts since the age of 5 and has always been a player with plenty of potential. From a keen tennis playing family he was scouted in a talent ID day as a boy and played at a high tournament level as a teenager. Now a coach, he has fantastic technical ability, motivation and patience to help his students both privately and in our Hotshots program. In his spare time Ben is also a stand-up comedian and likes to bring a sense of fun to all his lessons. Another Waverley College connection, Oliver is a permanent member of some strong Waverley tennis teams during the CAS winter tennis season. 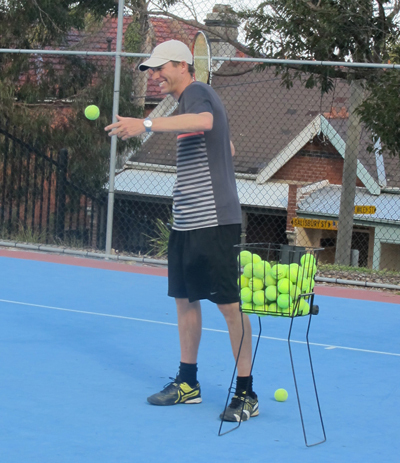 He regularly helps deliver Hot Shots classes at Trumper Park and every holidays he can be found teaching the kids at our popular tennis camps. A fine young man in the making he is also a keen cricketer and fantastic student. All of our coaches are cleared to work with children.